RIO DE JANEIRO - Lionel Messi's final act in the 2014 World Cup was lifting a free kick high over the bar, wasting Argentina's last chance to equalize in the final against Germany. It was far from a fitting finish for the four-time world player of the year. This was supposed to be Messi's World Cup, just like the 1986 tournament belonged to another Argentine great, Diego Maradona. 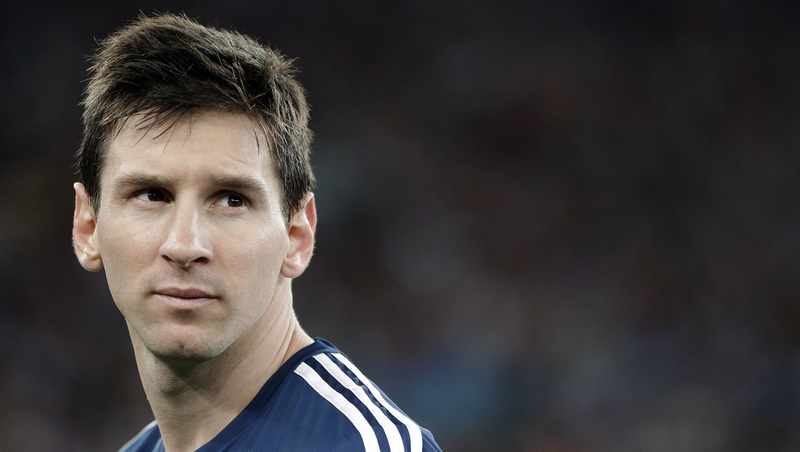 But after carrying his team through the group stage in Brazil with four goals, Messi seemed to run out of steam. In the final Sunday, he created chances but, like the rest of the team, lacked the finishing touch to turn the game for Argentina. He was a picture of disappointment after the 1-0 loss as he collected the trophy for the tournament's best player. "I think he deserves it because he played an extraordinary role. He was the fundamental factor in the team," Argentina coach Alejandro Sabella said. Messi has won everything there is to win with club team Barcelona, but many critics say he needs a World Cup title to be considered among football's all-time greats. "He's been there for quite a while already, in the pantheon of the greats," Sabella said, when asked to compare Messi with players like Maradona and Brazilian legend Pele. Messi stood out in an otherwise mediocre Argentine team in the group stage, scoring against Bosnia-Herzegovina and Iran and twice against Nigeria. The free kick he curled inside Nigeria goalkeeper Vincent Enyeama's left post was a masterpiece. Then, game by game, Messi's influence started waning. Against Switzerland he had little impact until extra time, when he drilled a hole in the Swiss defense and set up Angel Di Maria's winning goal. In the next game, against Belgium, he started the movement that resulted in Gonzalo Higuain's first-half winner and helped Argentina keep possession as the Belgians tried to level the score. Man-marked by Nigel de Jong, Messi struggled to find space in the semifinal win over the Netherlands, and besides a few runs and deft passes into the area against Germany, he didn't have a big impact on the final.